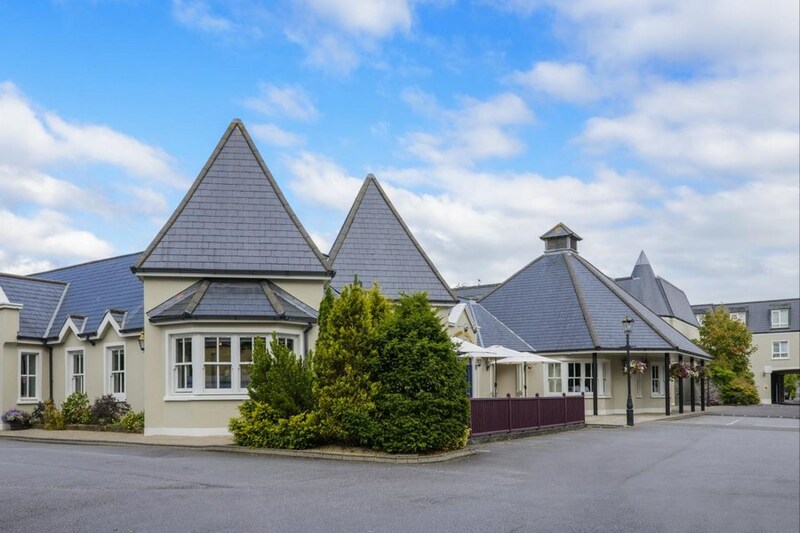 Situated on beautifully manicured gardens, the Meadowlands Hotel is a relaxing and enchanting oasis, located just 1km from Tralee town centre. The hotel is conveniently located at the gateway to the Kingdom of Kerry and is the ideal focal point for any visitor tour of the county. The Meadowlands hotel is on the N69 but is usually accessed via the N21 or N22. Follow the road into Tralee until you get to Clash Cross and turn right onto Clash Road. Take the first left onto Racecourse Road. At the end of this road, turn left onto Oakpark Road. Tralee is the capital town of County Kerry, with its shops and stores drawing people from all around. With leading stores lining the main streets and a host of bookshops, antiques and craft shops tucked away in old lanes and stylish new arcades, shopping in Tralee offers choice in abundance. Great food lovely atmosphere rooms were fantastic. Staff very friendly and helpful. Really enjoyed my stay. Great value, good location in relation to the town centre (1 m), great breakfast, nicely decorated rooms/good size & very friendly staff. Would recommend and would visit again. Enjoyable nights stay at the meadowlands, lovely staff and fab breakfast. i recently stayed in medowlands hotel on a 2 night stay in a wheelchair room .the shower was inadaquate it had a step up to it .the room was dark it had a window which looked into another entrance of the hotel .the tv was small you would need binoculars to watch it .the room was clean the rest of the hotel was nicely decorated .the food was ok. the resturant was closed we had meals included in our package .we had to eat in the bar for the 2 nights which was ok .but we were handed same menu both nights not really resturant menu. no vegtables or potatoes on the menu just fries and salad .not really acceptable when you go on a hotel break with meals included .on first night we had some drinks which were warm we werent told till second night they were having a problem with there cooling system but we were still charged for our drinks on check out .i checked out the gallery of the rooms on hotel website and i feel the wheelchair room wasnt up to same standard.yes i would stay here again but not in wheelchair room. We booked this on short notice for a very good price and were blown away by everything this hotel has to offer . The hotel staff were very friendly and looked after us for anything we asked. The rooms were very comfortable and the food was really nice. Breakfast was super . I would highly recommend the Meadowlands and will definitely stay again. Great Hotel, newly refurbished and very comfortable. Lovely light décor with lots of seating areas to read etc. Ideal for a shopping trip or celebration etc over Christmas. Rooms clean everything you could need provided. Staff were really nice and helpful. The Chowder is lovely, our inclusive dinner was just beautiful. Lovely House wine by the glass or €22 a bottle. Busy hotel that seemed to have a lot of locals dining.- Always a good sign. Easy walk in to the town. Will be back, so cosy. Really enjoyed our stay in the Meadowlands. We have stayed here several times and have always been very pleased. The room was very comfortable. We ate in the bar on Friday night and the food was lovely. Staff were very friendly and helpful. Breakfast was very good. We will definitely go back. The Meadowlands is a lovely hotel. The staff are lovely, professional and helpful. We just stayed one night but I wish it had been longer. 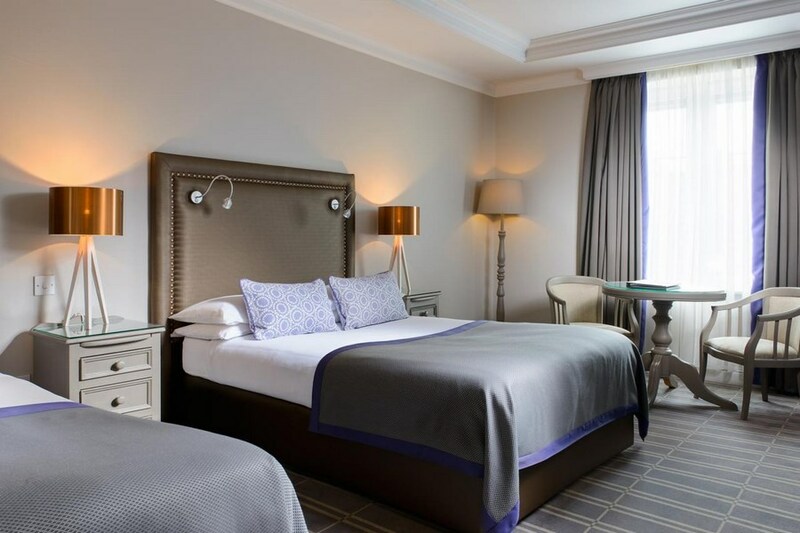 The rooms are great, spacious yet cosy, the beds are very comfortable. The breakfast was very good, there was a lovely ambiance in the hotel as a whole. It was also very peaceful, nice and quiet at night, and a 20 minute walk to the town centre. What would have made it complete would be perhaps a bit of entertainment in the bar at night but all in all it was a lovely stay. It was our 4th stay at the Meadowlands hotel. Enjoyed it, breakfast cooked to order and staff friendly. Room clean and spacious. Hotel located wtihin waking distance of town centre. Would highly recommend hotel and will definately be back . Our stay in Meadowlands Hotel was most enjoyable and I would rate it very highly. The staff were so friendly and helpful. The food was fabulous and the hotel is well located within Tralee. I would strongly recommend it and we will definitely return. Fantastic Value and we were a family of 5. We had a lovely weekend at this hotel. Family room was lovely and spacious. Breakfast was lovely with a great selection to choose from. Breakfast room was extremely busy due to the August weekend but staff were still very efficient. Helen on reception was extremely easy to deal with so welcoming from the minute we booked as we had a child in a wheelchair checking is there anything special we needed. This was a dream find for us as we always stay in the larger hotels. We found this smaller hotel more intimate and welcoming we will definitely be returning to this hotel. Character filled and very well maintained.inside and out. Breakfast lovely. Meals in bar not recomended. Staff very nice anf=d helpful. Had a very enjoyable stay at Meadowlands Hotel, comfortable rooms, lovely food, and friendly staff. I will happily stay again soon. We went to Tralee recently for a break with our grandkids and stayed here. We booked a family room and were delighted to be given a really spacious and cosy room. Instead of a single and pull-out that we normally get, the kids were really happy to have a single bed each. Breakfast each morning was great - lots of varieties so everyone was happy. We didn't have dinners at the hotel, but I would expect them to be up to the same high standard as breakfast. The reception and restaurant staff were all so helpful and friendly. Even with two energetic and lively kids with us, we felt very welcome and relaxed. We usually stay at another hotel when we visit Tralee, but next time we will definitely be looking to book here. Lovely character filled hotel. Excellent customer service and comfortable rooms. Loved the nooks and crannies one could escape to for reading and relaxing in. ENJOYED A REALLY RELAXING TIME IN THE MEADOW LANDS HOTEL, EVERYTHING 'SPOT ON' -STAFF COULD NOT BE NICER AND MORE HELPFULL,FOOD REALLY GOOD,BEDROOM VERY COMFORTABLE CLEAN AND WARM,RECEPTION AREA VERY WELCOMING.OK ONLY COMPLAINT IS THE CUPS ARE TOO SMALL FOR OUR LIKING - THAT IS NOT MUCH TO COMPLAIN ABOUT. Hi, stayed here in a family room. Spacious, clean and comfortable. Staff we're lovely, went the extra bit for rich tea biscuits for a 5 year old boy. Also got DVD player in the room with a selection of kids DVDs sent also. Breakfast was really good, all fresh and the staff here were excellent. Will be returning. Good location, Restaurant staff very friendly & chatty. Food very good. Lovely hotel,great location.the staff were really friendly and accomodating,especially the breakfast waiting staff who supplied an endless supply of pancakes to two very demanding customers,aged 8 and11 ! rooms were spacious,2 double beds,in the family room,also plenty toiletries in the bathroom including the thoughtful addition of bottled water. a good choice! also there is complimentary use of a nearby swimming pool for those wet afternoons.enjoy! Really enjoyed our stay at this hotel, even the two children thought it was great especially as they could have pancakes for breakfast. It was clean, very comfortable beds and the staff were all very polite and helpful. With no pool we thought facilites would be further away but had complimentary swim very close by. The hotel is very central to shops and facilities but no exposure to traffic/noise so all in all a great place to stay and hope to be back again. The hotel is delightful and the staff were more than helpful in particular Jerry who served our meal in the bar. I cannot express how much we appreciated his service. All in all our experience in the hotel was second to none and we will definitely visit again. Ciaran and Kathleen shanahan. The rooms are beautiful with good facilities. Very clean small hotel. Very limited vegetarian options on menu especially at breakfast and this is a pity as everything else is great. We stayed in the family room, very comfortable and plenty of space. Food excellent and friendly staff. Nice location, quiet but close to Tralee town centre. Lovely hotel with a great atmosphere!the food in both the bar and restaurant was great! !very enjoyable stay!! Stayed at this Hotel for one night recently on a short visit to Tralee. Everything about this place is good. - The staff - The room & the bathroom - The breakfast !! - The bar Liked it so much I have arranged for my parents to go there for a little break. Can't say anymore. Tom Ryan. Decent all round. Tastefully decorated bedrooms which were also very clean. Also, the hotel is complimented with lovely gardens. The breakfast was also an enjoyable experience. Kids had a great time, and spoke highly of our stay. Very happy with Meadowlands, A1. I will be back again. Conveniently located on one of the main thoroughfares in/out of Tralee, within its own grounds which makes parking no problem whatsoever. It's about a 15 minute walk into the town centre. A fairly extensive building, 3 storeys high and maintained in very good condition in both the public and bedroom areas. 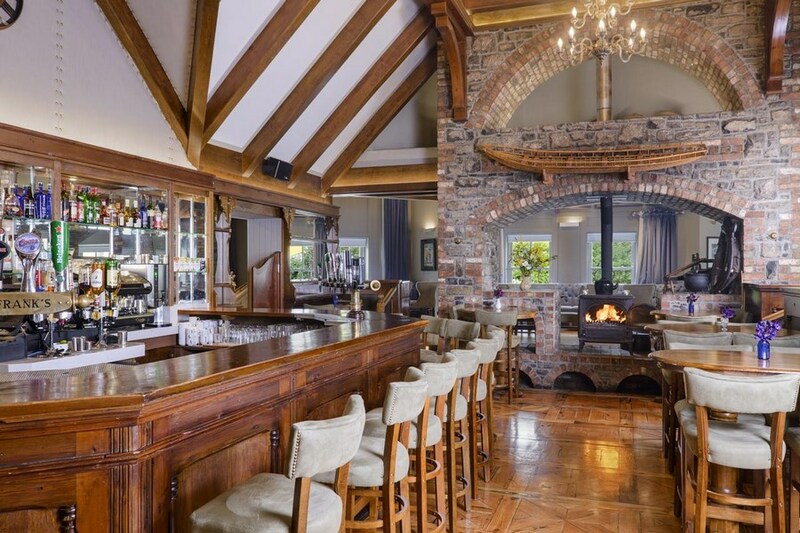 The dining room is designed on a nautical theme, whilst the bar, which serves very good food is very typically Irish to me in that it comprises several semi-separate areas/levels which all adds to the character of the premises and comfort of the visitor. Staff were helpful and efficient and rooms sizeable, well maintained and comfortable. Would be happy to make a return visit. Beautiful old style hotel. Excellent value. Very friendly and helpful staff. Great food. Highly recommend the pancakes for breakfast. We will be back! Nice and helpful staff. Good breakfast. Quiet and well tempered room. 10-15 min walk to center of Tralee. Nicely decorated inside. Good pub. Free parking. Hotel is a bit tired but room ok and pleasant staff. my boyfriend and I decided to go away for one night the night before we stayed in The Meadowlands hotel and got a great deal. It was one of the best hotels we have stayed in, would definately recommend it. Staff are very friendly and gave us a very warm welcome. Food very good and its a good location, just 10-15mins walk from Tralee town centre.